Williams was born in in Rochester, New York and grew up in Washington, DC. He continued his music education at the University of Miami. There he joined Monty Alexander's band, with whom he started to perform on the international scene. He furthered his music education in New York, with Billy Hart. Back in Washington, Williams played locally with Milt Jackson, Freddie Hubbard, Joe Williams, Woodie Shaw, Gary Bartz, Eddie Henderson, John Hicks, Larry Willis, Mulgrew Miller and many others. He joined Gary Thomas' band, with whom he recorded one of his first compositions, "Pads". Then he joined Shirley Horn, who would keep for twenty-five years the same rhythm section: Charles Ables (bass) and Steve Williams (drums). Critic Don Heckman wrote in the Los Angeles Times (February 2, 1995) about "the importance of bassist Charles Ables and drummer Steve Williams to the Horn's sound. Working with boundless subtlety, following her every spontaneous twist and turn, they were the ideal accompanists for a performer who clearly will tolerate nothing less than perfection". His music relationship with the pianist and singer gives him the opportunity to tour the world and record with such artists as Toots Thielemans, Branford Marsalis and Wynton Marsalis, Carmen McRae, Roy Hargrove and Miles Davis. 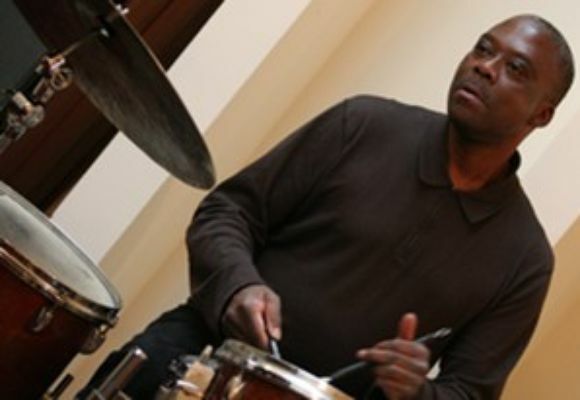 After his long collaboration with Shirley Horn, Williams moved back to New York in 2006, where he studied with Michael Carvin. He performs among others with the Slagle/Stryker Band, Paul Bollenbach, Roni Ben Hur, Larry Willis, the John Hicks Legacy Band, Bill Saxton, Bob Mover, Amy London, Sara Lazarus, Ben Vereen, Joe Lovano, Eddie Henderson. He pursued his music career with his own quintet, promoting original compositions by the band members. His first album as the leader of New Incentive was released in January 2007. The musicians are: Olivier Hutman (p), Michael Bowie (b), Donvonte McCoy (t), and Antoine Roney (s). John Hicks, Gary Bartz and Roy Hargrove are guests. According to French jazz critic Renaud Czarnes, in [[Les Echos]] (January 26, 2007) "this record is a splendor. It revivals the kind of emotion that you only feel listening to the great sessions from the sixties. The compositions, signed by Steve Williams or other musicians from the band are dazzling. It is one of those that gives the strength to get up in the morning and the will to stretch out the night". Known for his refinement with Shirley Horn, he is also appreciated as a powerful and sensitive instrumentalist.